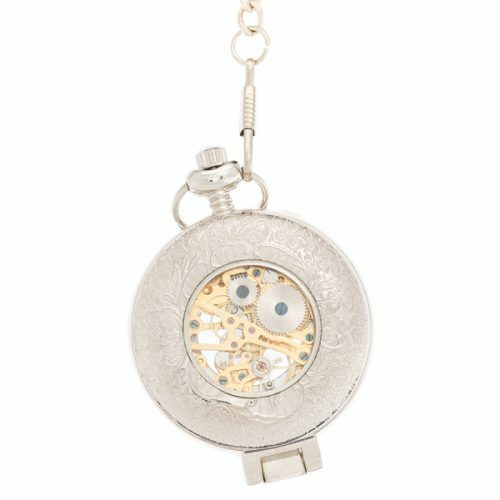 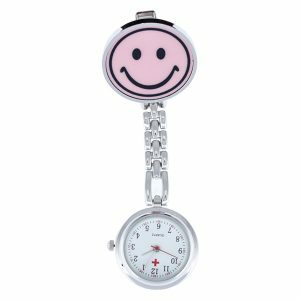 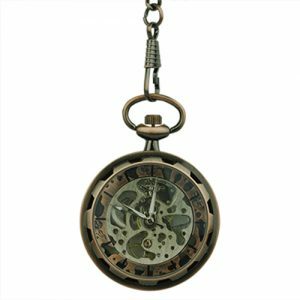 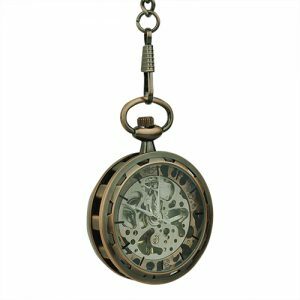 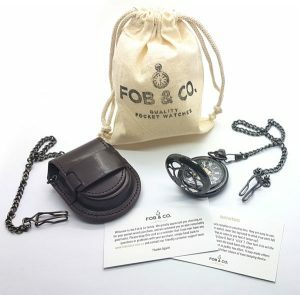 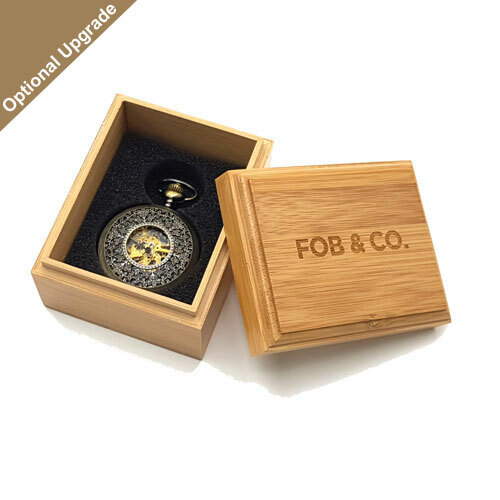 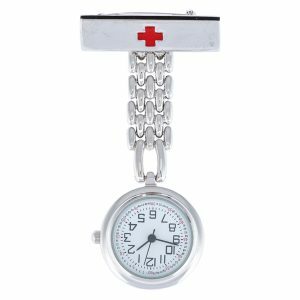 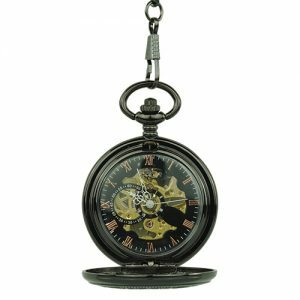 Cutout Design Half Hunter Pocket Watch - Fob & Co. 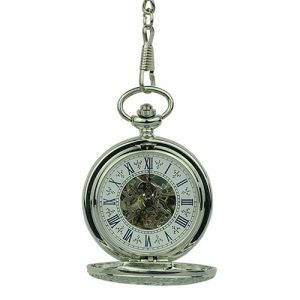 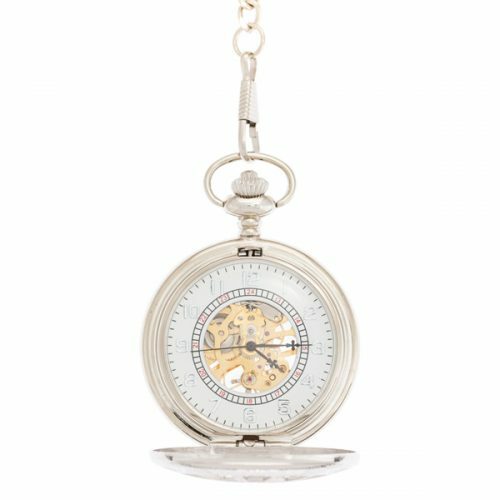 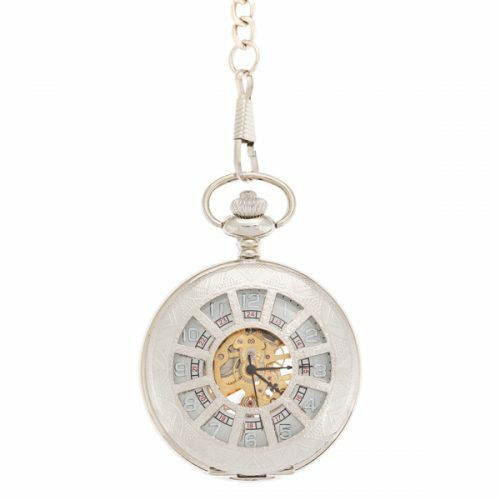 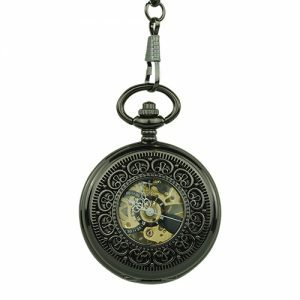 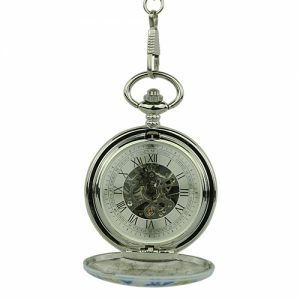 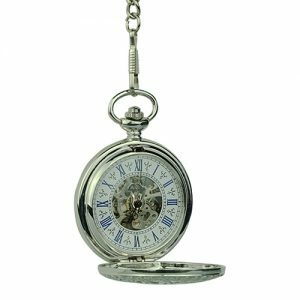 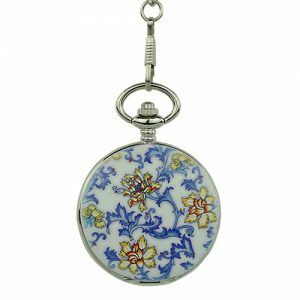 Here is a pocket watch that has a silver half hunter cover with viewing windows arranged in such a way that it appears to look like wheel spokes. 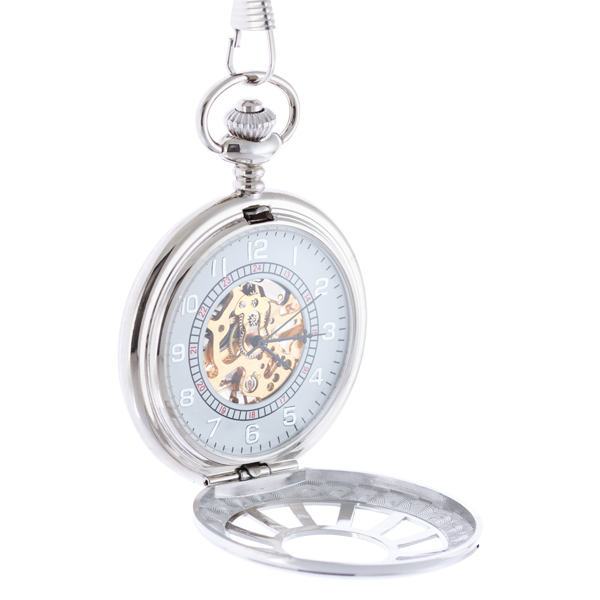 They allow you to tell the time and see the see-through watch design revealing gold-coloured inner workings.